dishes: Pizzas, bread, roasts, cooked dishes, grills, and others. 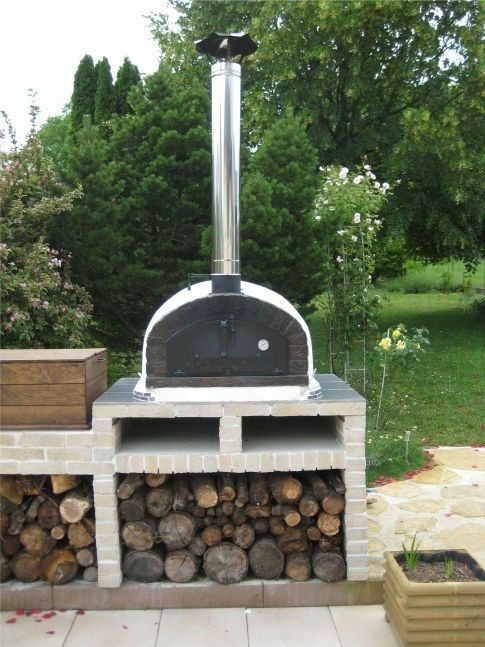 A great option in Fired Pizza Oven - BRAZZA 100cm! Measure and mix first 6 ingredients with milk powder, add 1½ cups of wholemeal flour and mix thoroughly. Cover and leave 15 minutes or longer in a warm place. Stir in remaining wholemeal flour and optional wheat germ add a little extra flour or water to make a dough firm enough to knead for 10 minutes. Turn dough into a bowl that is coated with 2-3 tsp oil, cover with cling wrap and leave for 30 – 40 minutes Knead lightly in the bowl then pat out into a square. Roll dough into a cylinder and level the top, leave to rise for 1 hour and place onto oven floor. Bake in oven for 30 minutes.